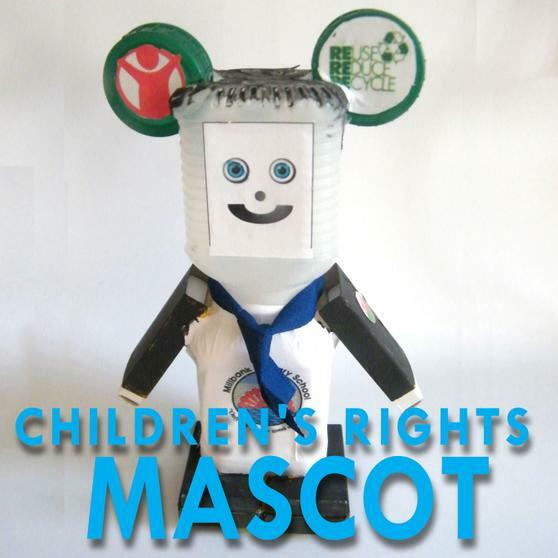 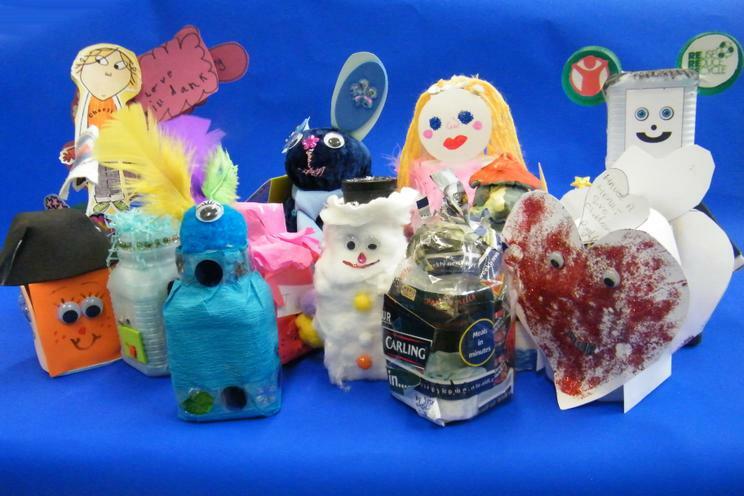 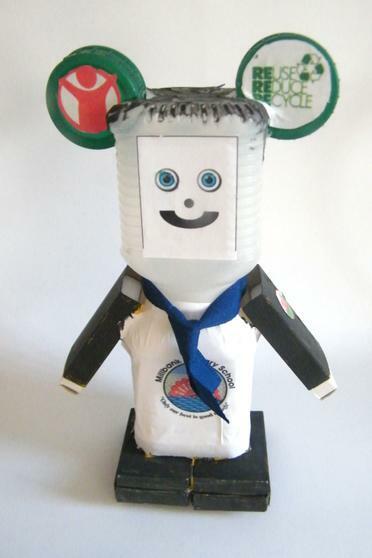 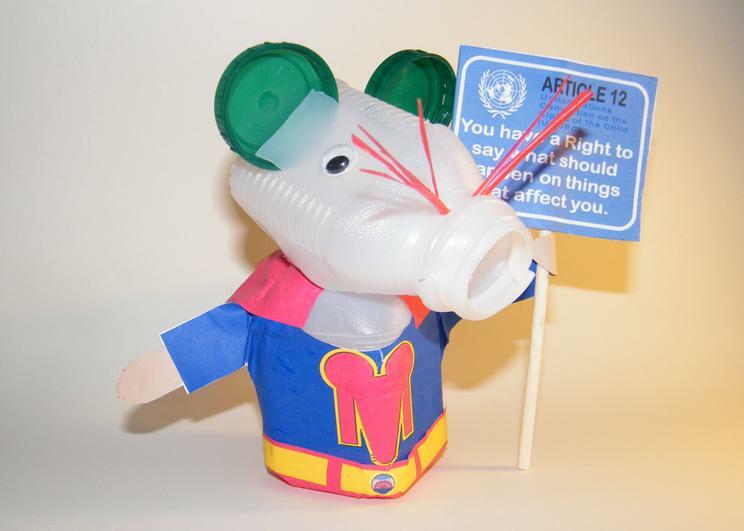 To celebrate our UNICEF Recognition of Commitment to becoming a Rights Respecting School and to help promote the UNCRC next year the Rights Leaders decided to run a fun competition to design a mascot from old milk cartons. 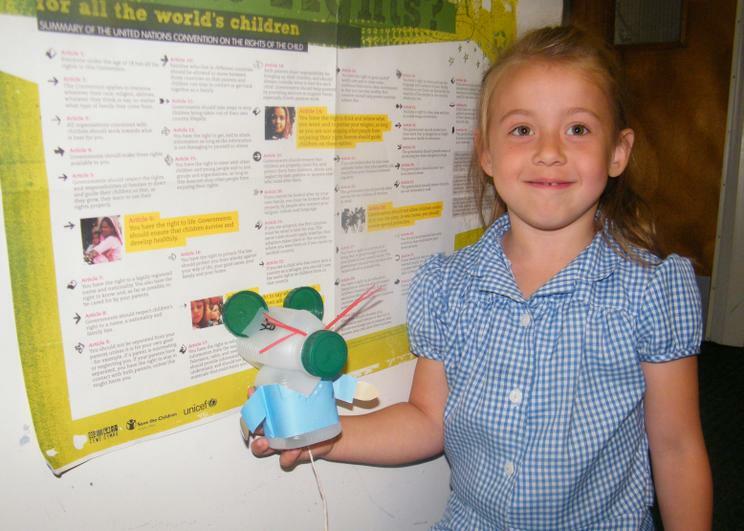 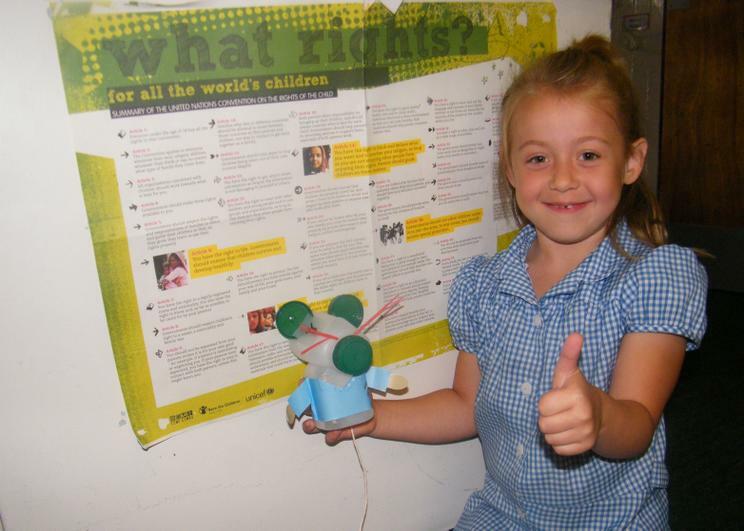 Promoting knowledge of Childrens Rights is very important at Millbank and we have been very active on projects like Global Education over the years in which the children have asked that governments honour their promise to support free education in developing nations as outlined in Article 12 of the UNCRC. 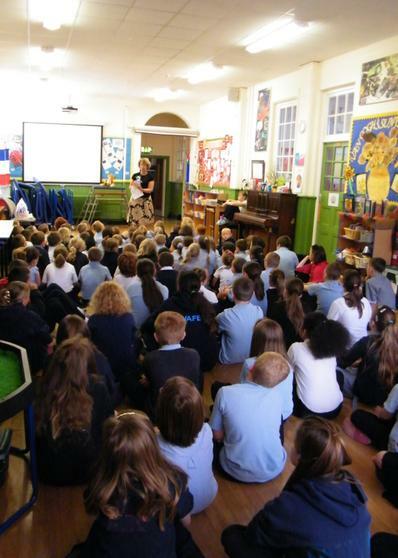 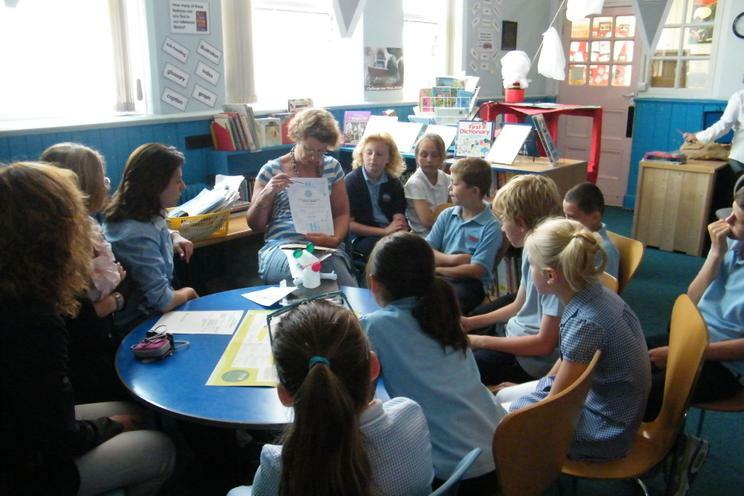 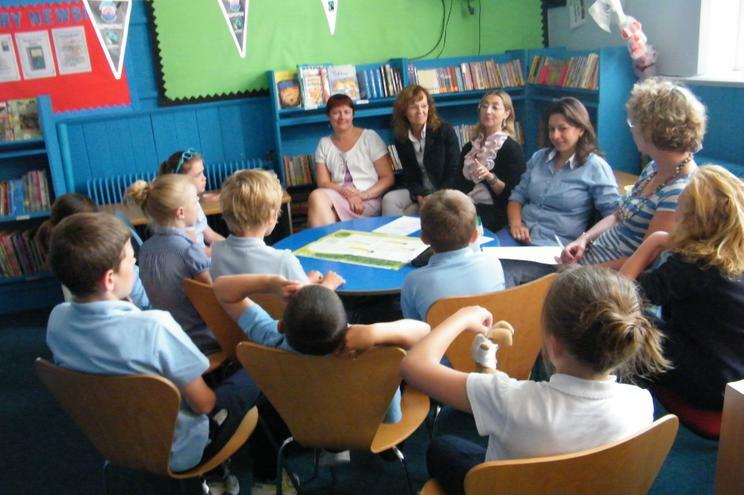 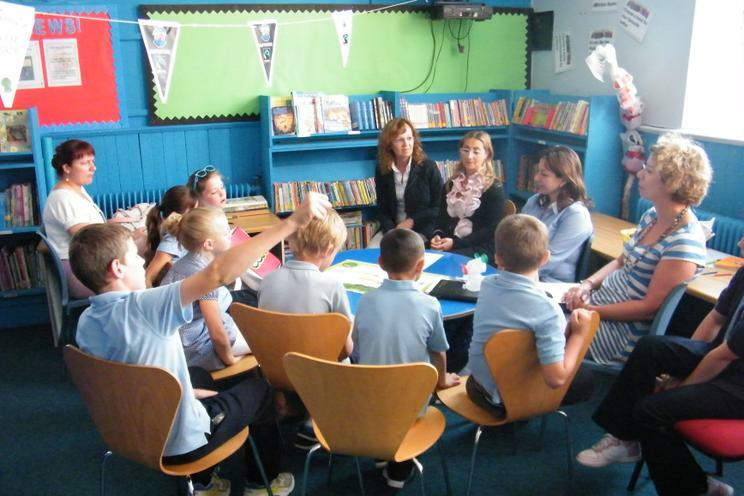 The Rights Leaders Group is made up of representatives of the School Council, Save the Children Ambassadors and the Children's Commissioners Ambassadors (who again promote the UNCRC). 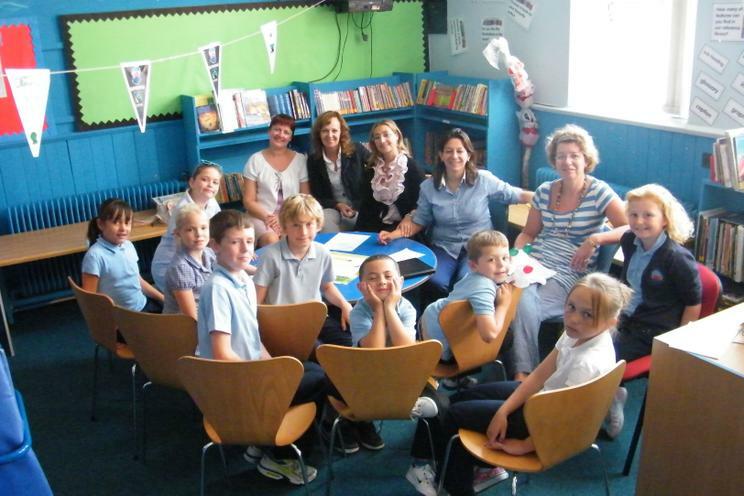 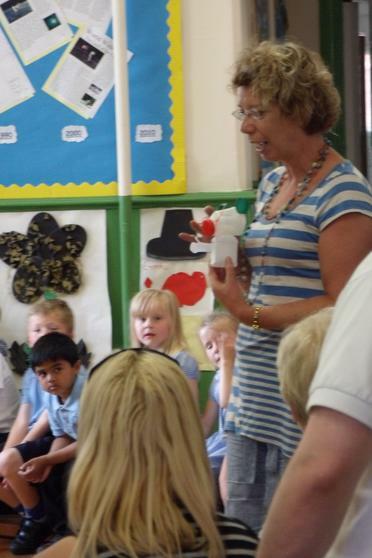 Staff, governors and volunteers also attend. 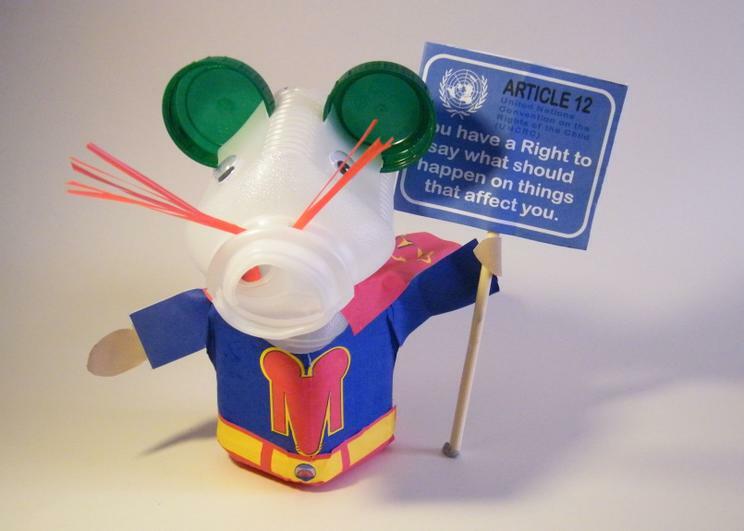 The idea of a mascot that we could use to put on displays throughout the school reminding people how important these Rights are. 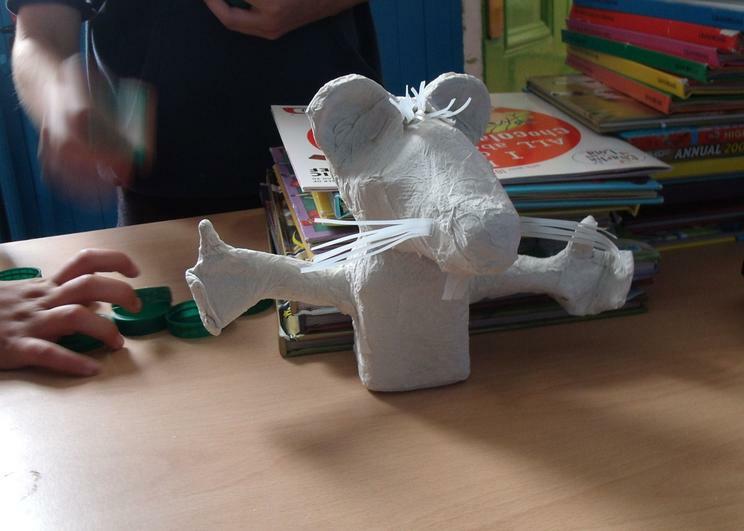 It needed to be something we could make easily cheaply and that we could use as a cartoon character. 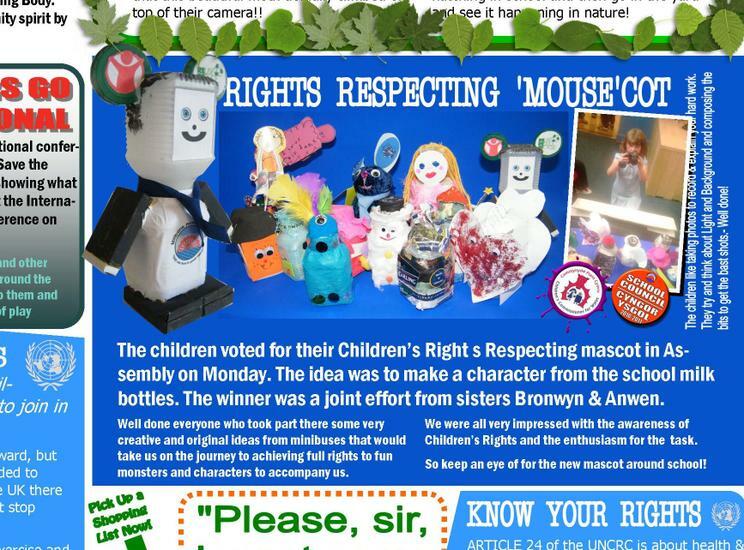 The Rights Leaders asked Mrs Brown to put details of the competition in the weekly newsletter and lots of people took part. 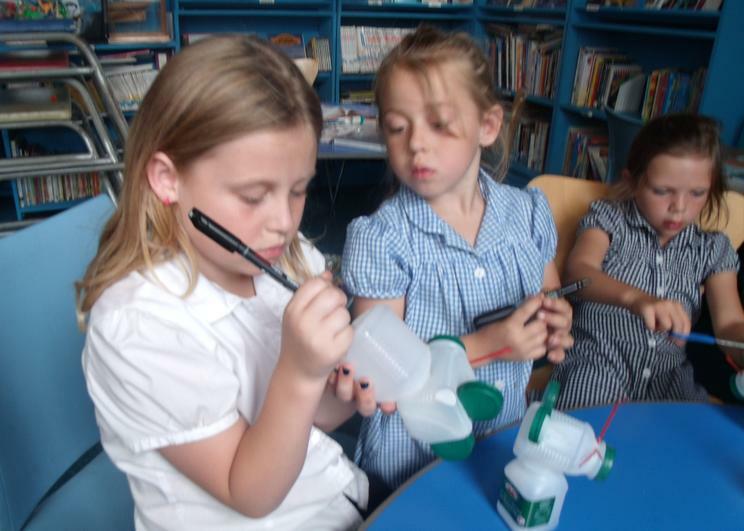 Some of the designs were of letter boxes that you could write your problems and concerns, cars that would take us on the journey to being a Rights Respecting School, Monsters, Princesses, rabbits ... Each of the designs were explained to an Assembly of children and they voted on the one that they thought best. 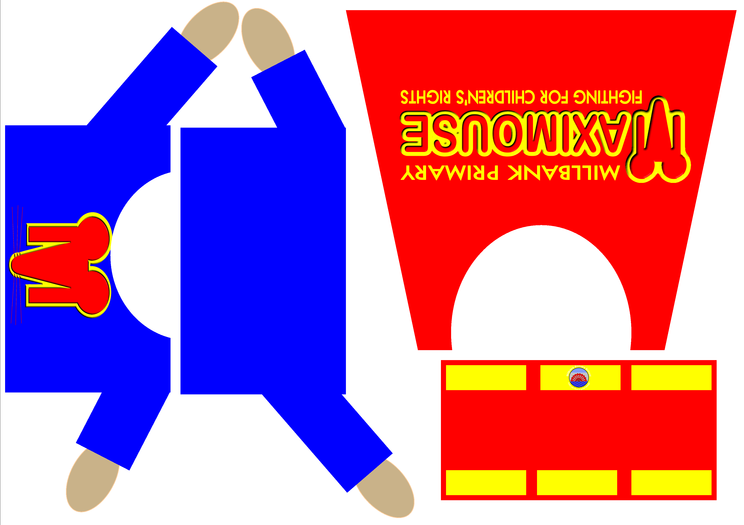 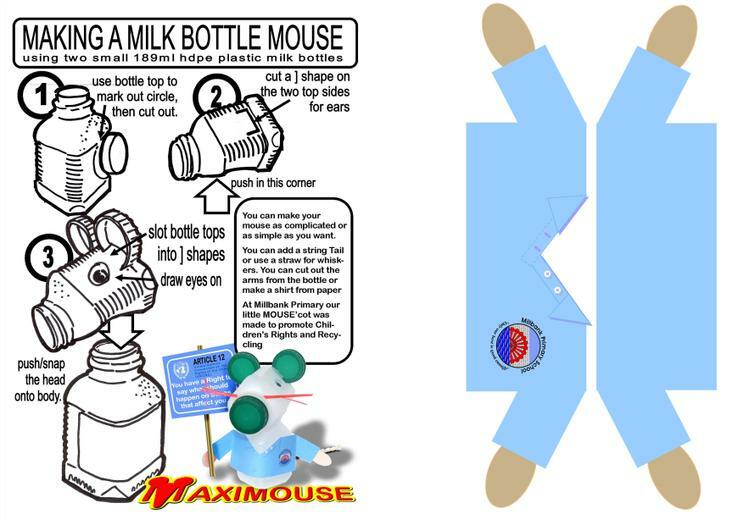 The winning design used two milk cartoons as it was a joint effort. 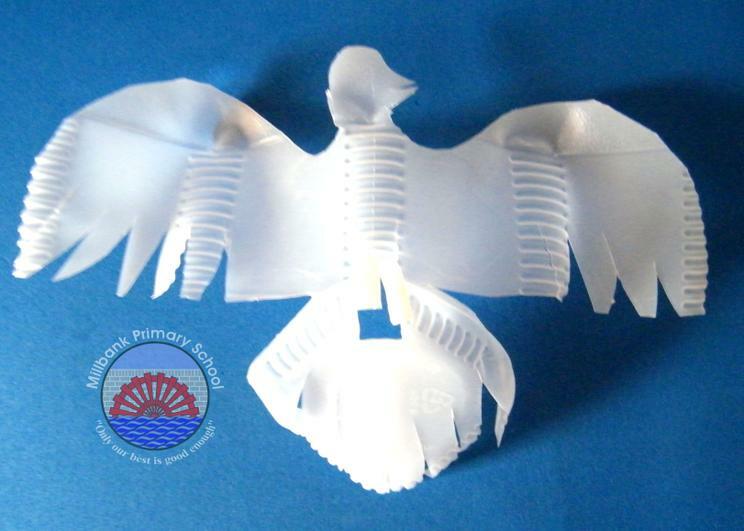 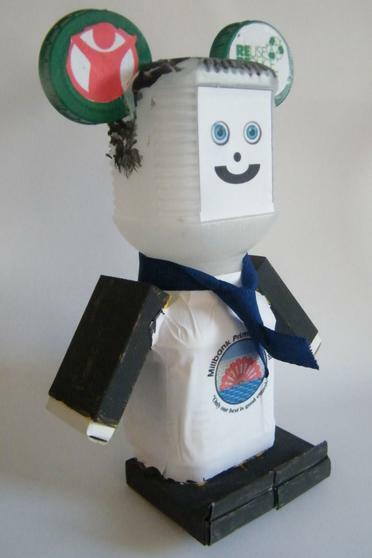 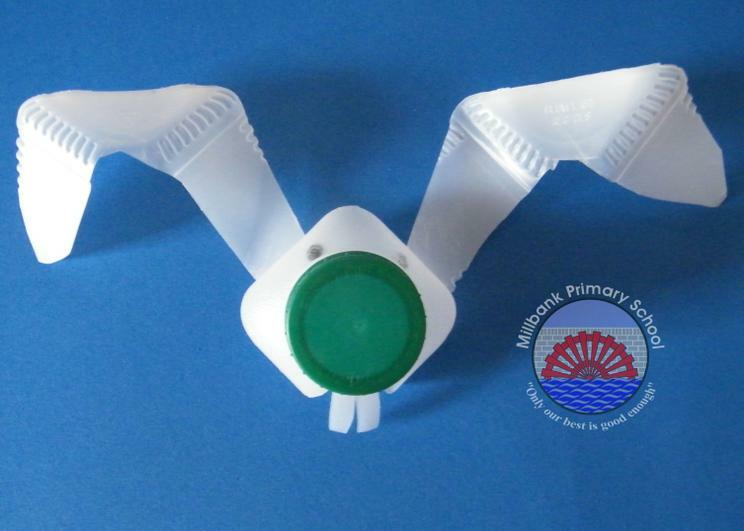 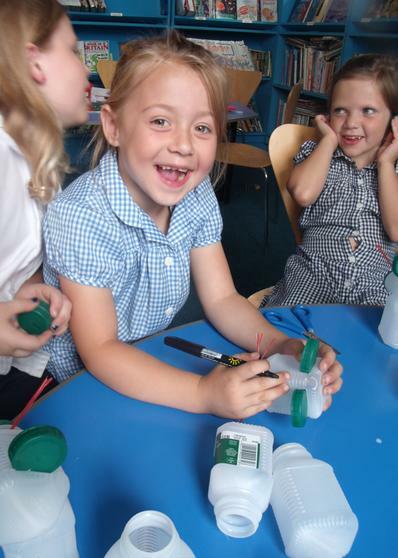 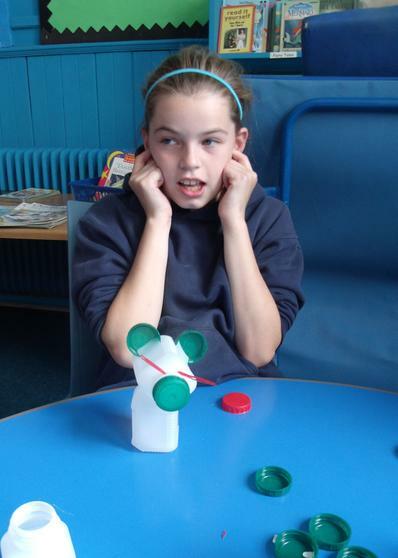 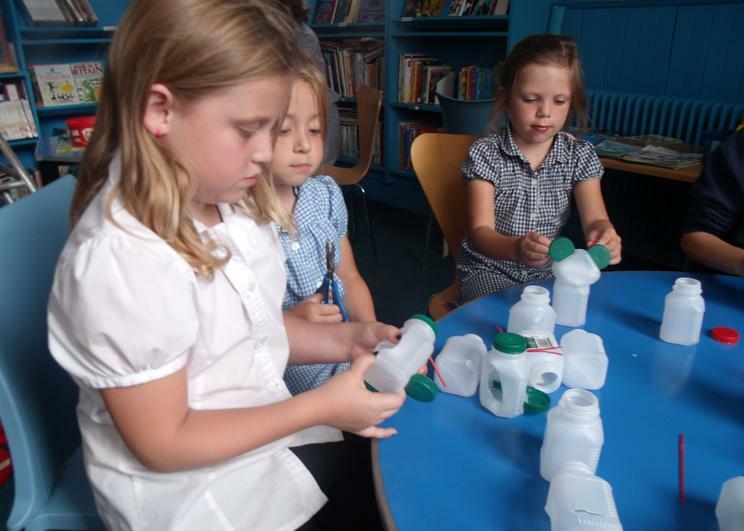 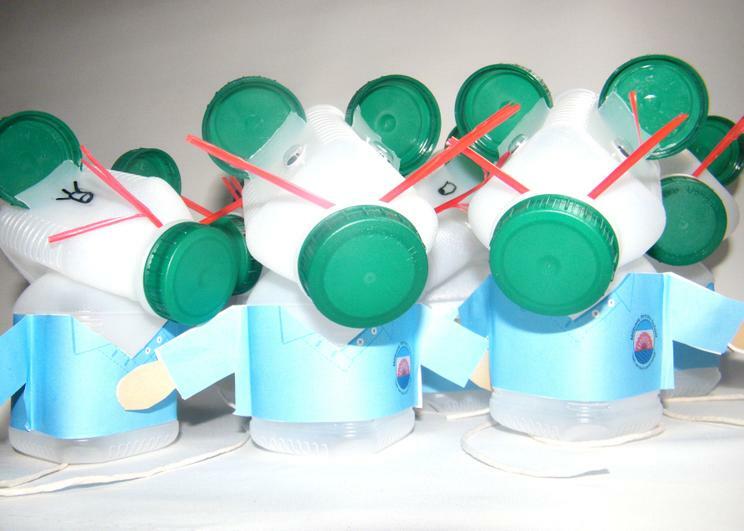 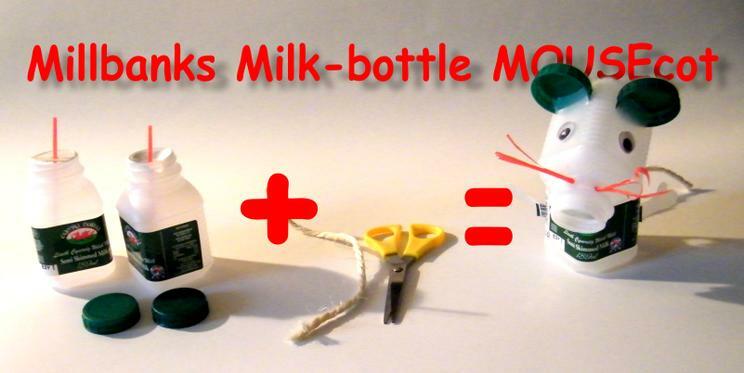 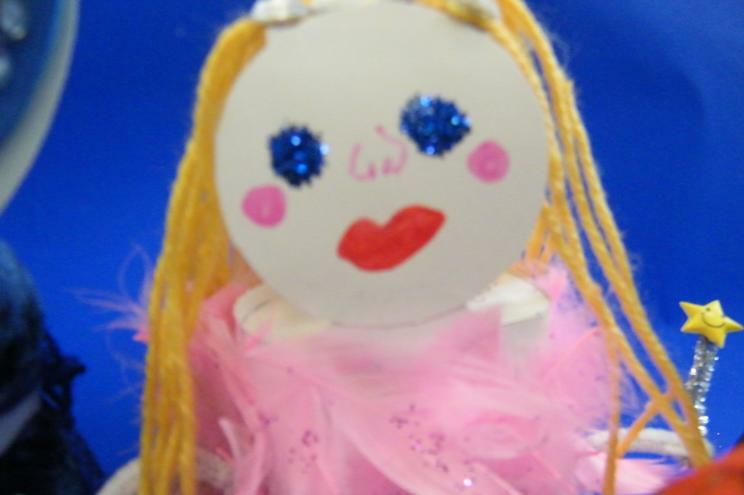 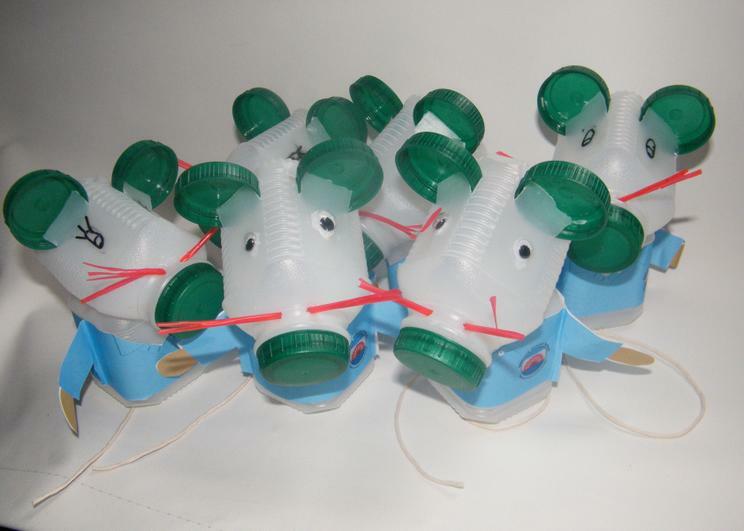 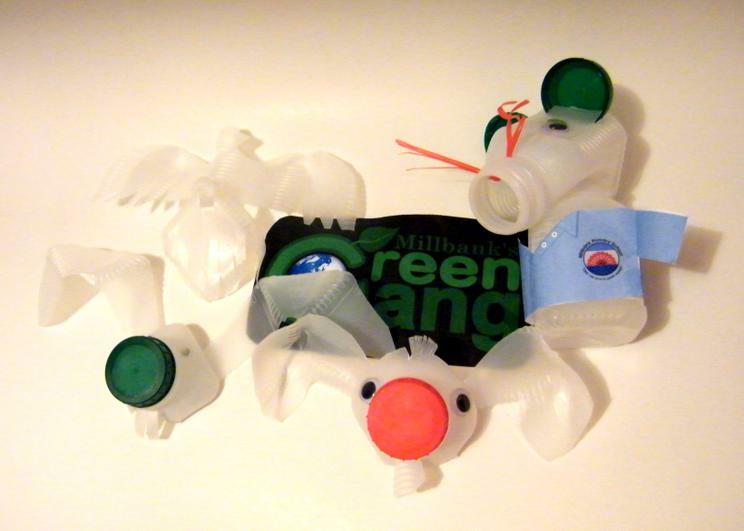 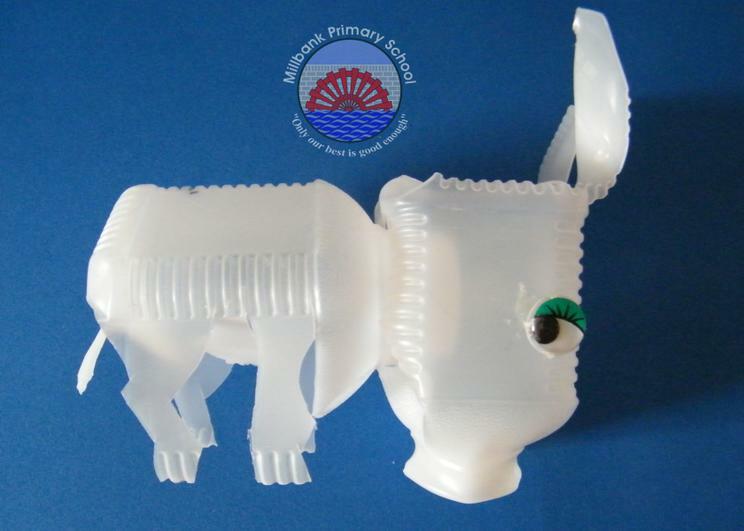 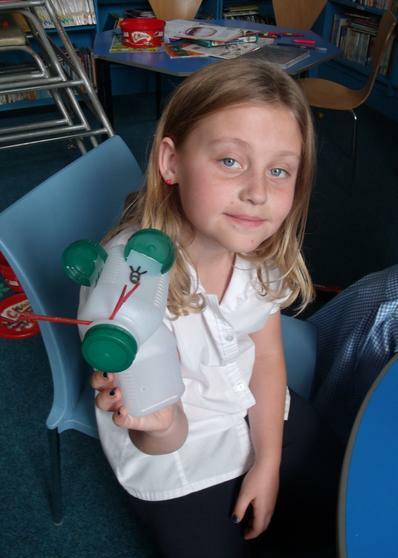 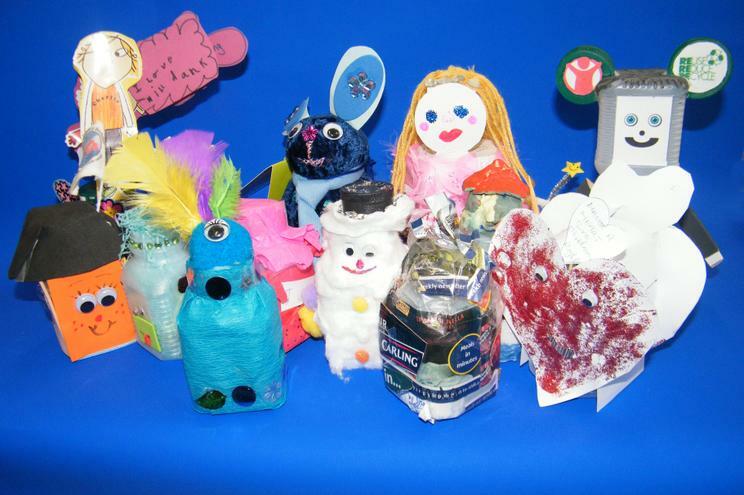 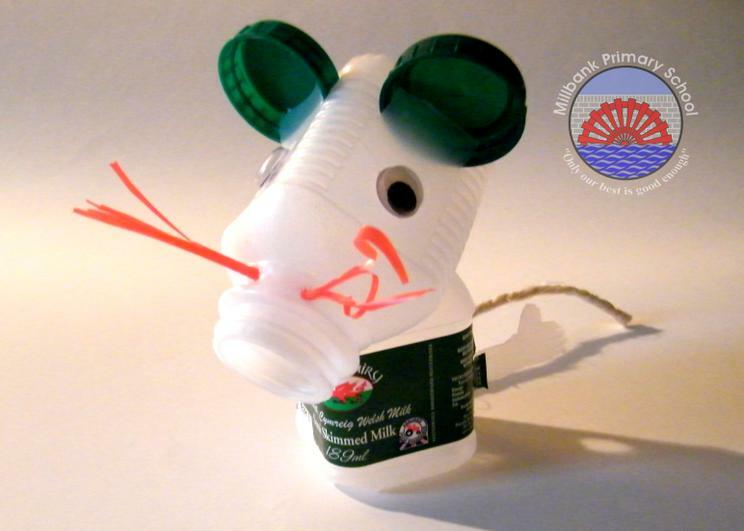 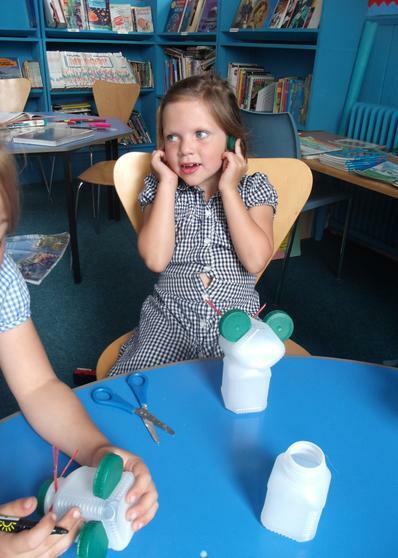 It also used the milk bottle tops as ears and had arms and a school uniform. 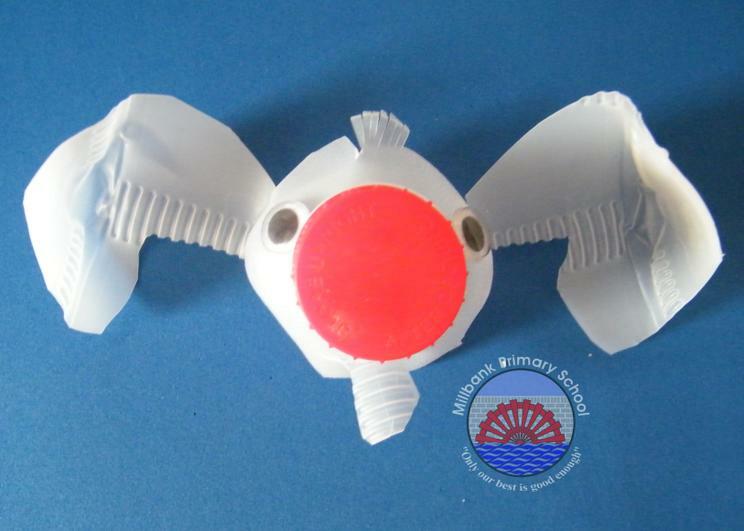 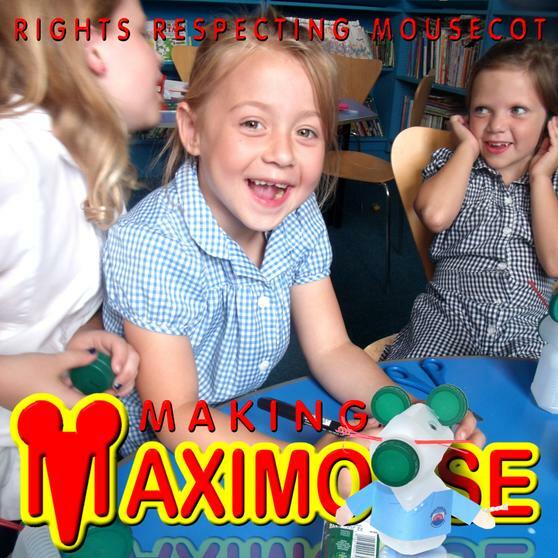 This design and character was worked up into the earliest form of Max which was presented back at an assembly and pupils were invited to make some to see how practical the design was. 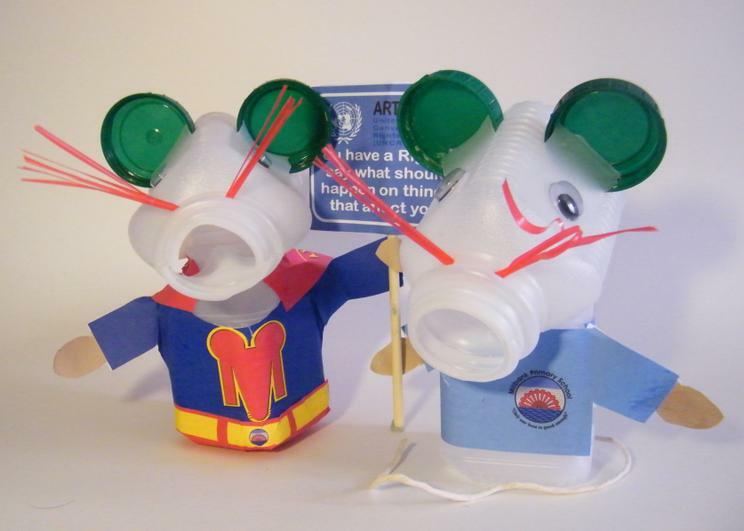 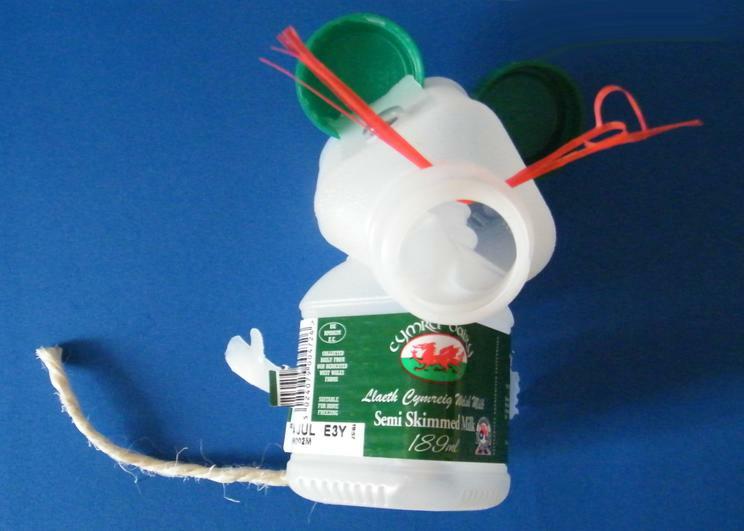 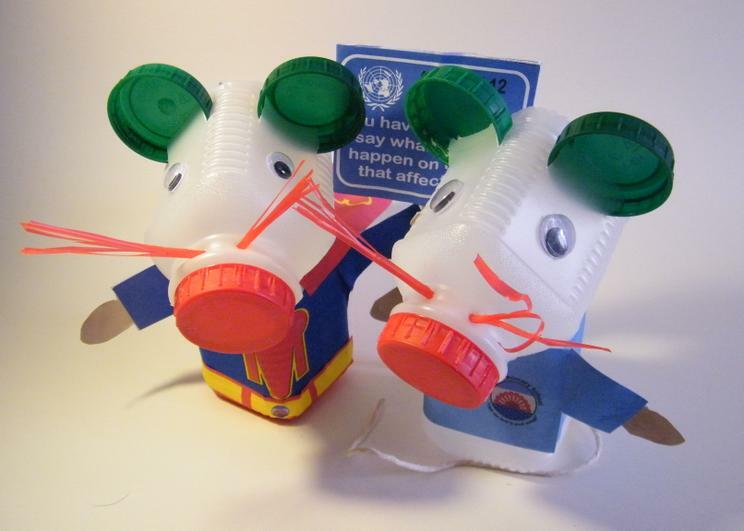 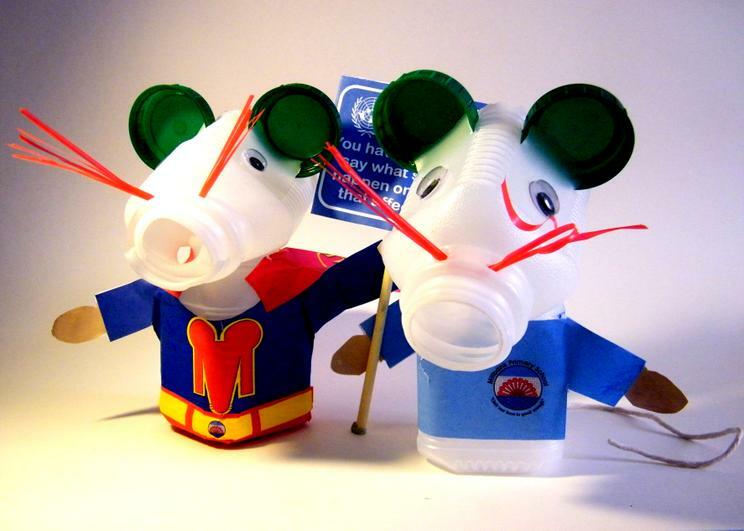 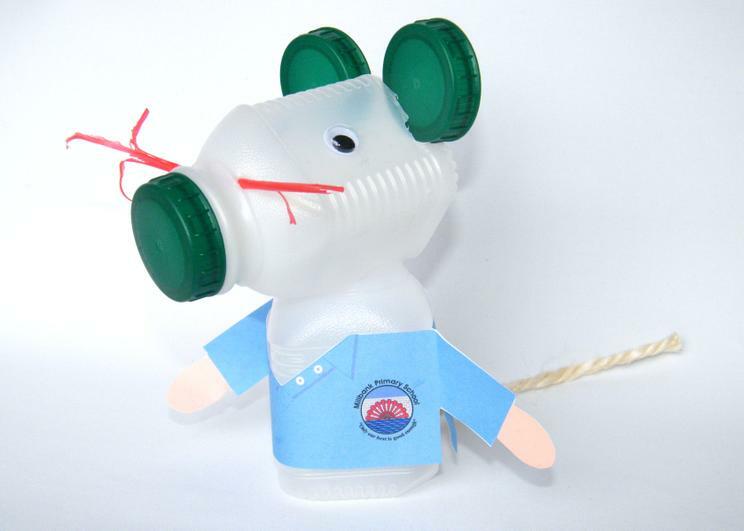 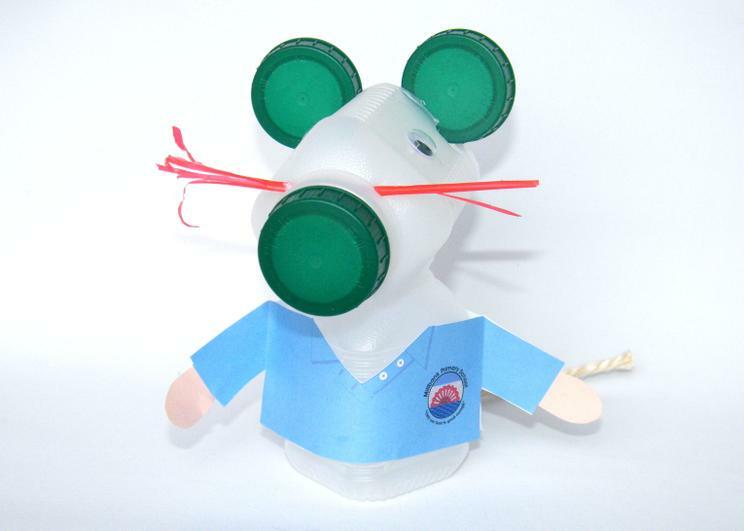 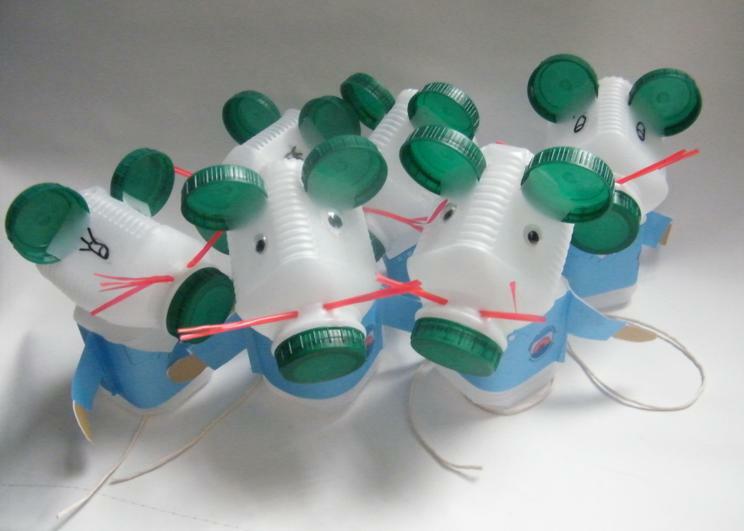 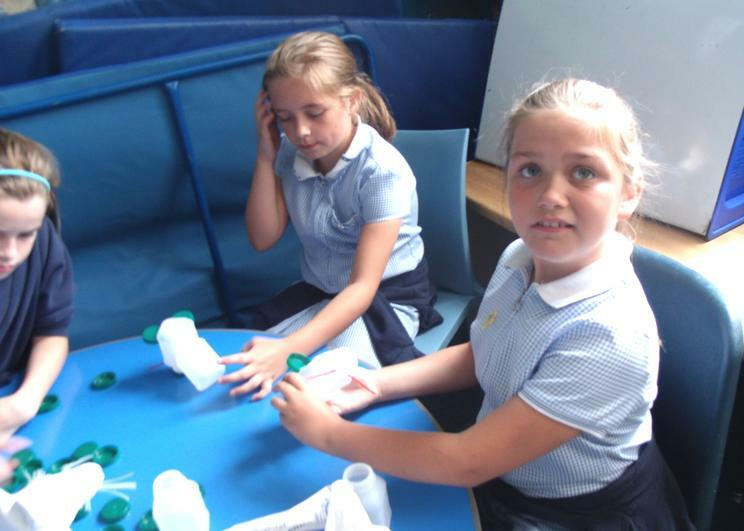 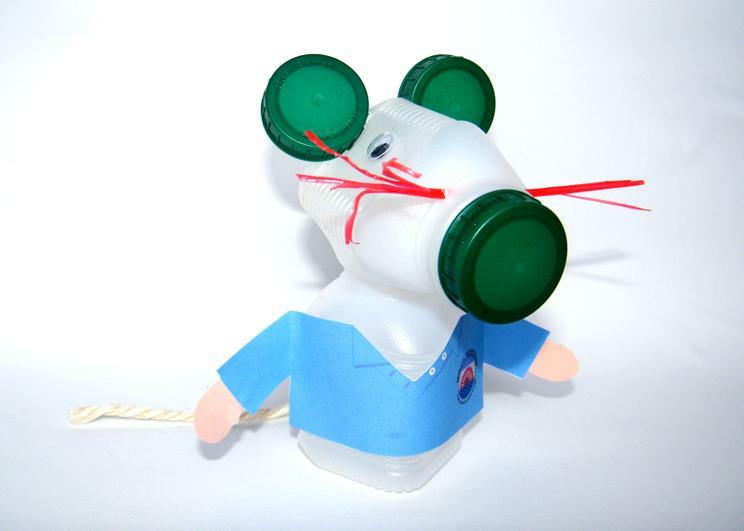 There has been a few designs and we have talked about how it can be adapted to promote World School Milk Day in September, Anti bullying week or as a recycling mouse too. 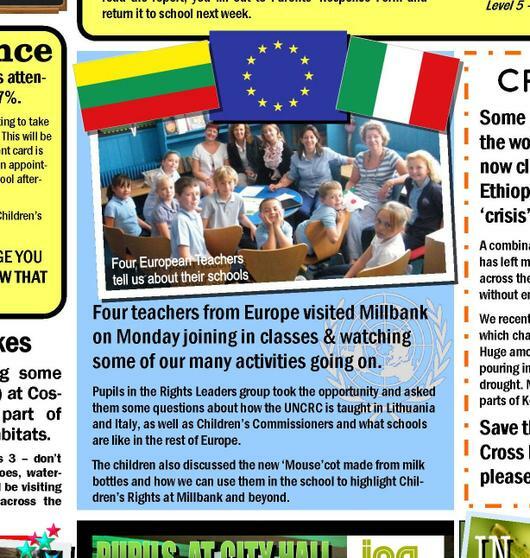 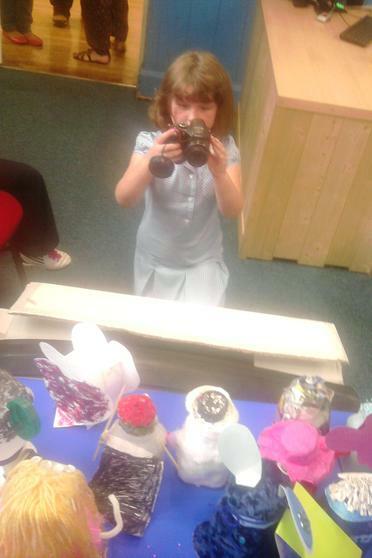 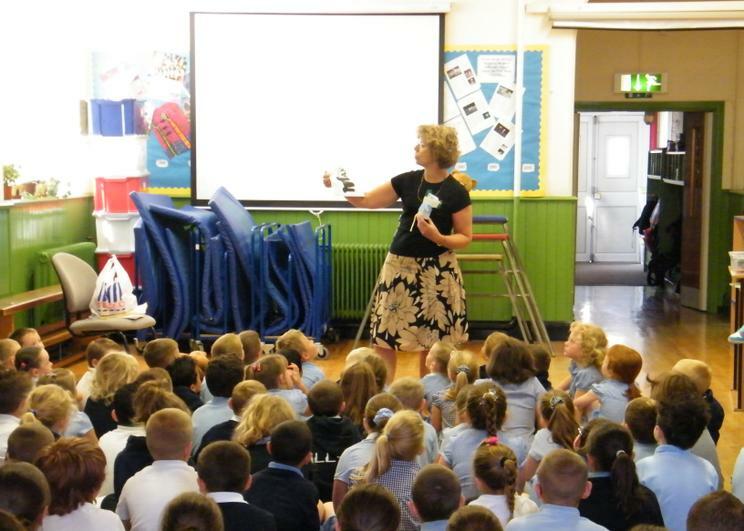 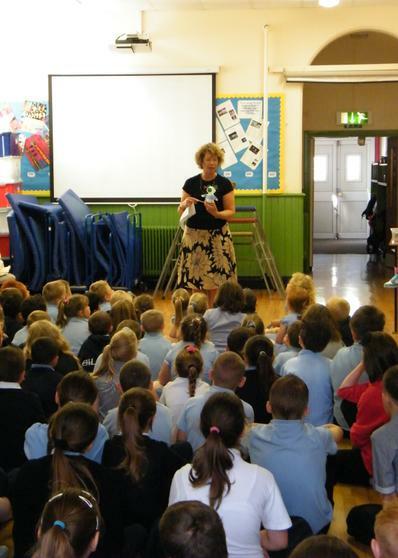 We have done lots of work on the UNCRC, each week if space allows we try and mention in the parents newsletter something about the UNCRC an article or refer to the convention so that parents and families become aware of the terms.